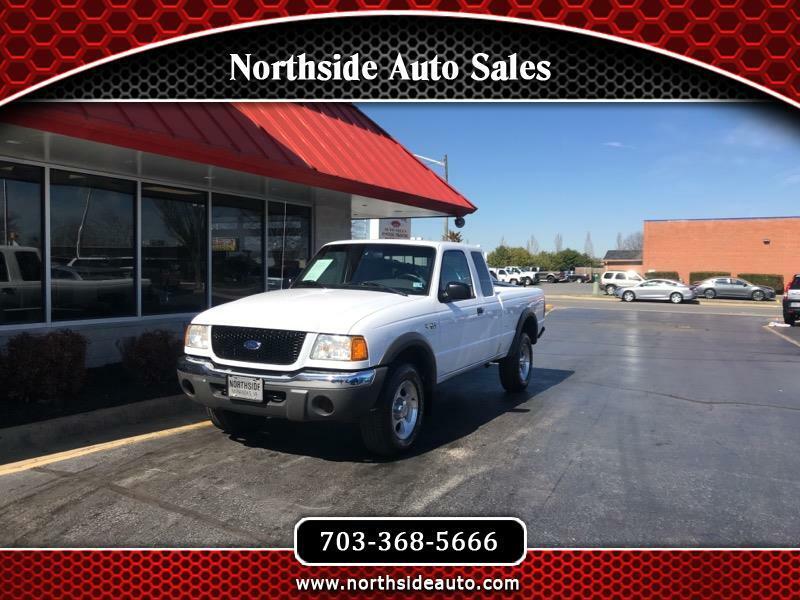 This Ford Ranger XLT SuperCab 4WD is in Excellent Condition and is perfect for business or personal use! Power Windows, Power Locks, Tilt Wheel, Cruise Control, CD Player and Much More!! We Specialize in Providing Quality Transportation, Establishing and Re-Establishing Your Credit with Our Short Term In-House Financing!! We report to Equifax with the Goal of Building Your Score!! Visit Northside Auto Sales or call us at 703-368-5666 today to schedule your test drive. Sort the website from the lowest to the highest price for down payment and payment information. We include a Nationwide Warranty on every vehicle. Northside Auto Sales provides Quality Used Cars and Trucks with affordable Down payments and Payments with our In-House Financing. Message: Thought you might be interested in this 2002 Ford Ranger. You promise to pay the amount financed plus finance charges. A time price differential accruing on the unpaid balance at the rate of 19.86 % per year from today's date until maturity. The time price differential accrues on a 365 day basis. If you default and we demand payment, we will earn finance charges on the unpaid balance at 19.86 % per year. The amount financed number of payments and payment amount shown are subject to change depending on title fees, taxes, $499 processing fee. You agree to pay this contract according to the payment schedule and late charge provisions shown in the TRUTH IN LENDING DISCLOSURES in said contract. You also agree to pay any additional amounts according to the terms and conditions of this contract. All payments displayed are bi-weekly 68. The total finance charge is $2,796.10. Vehicle Details- While every reasonable effort is made to ensure the accuracy of this information, we are not responsible for any errors contained on these pages. Please verify any information verbally and/or in person at Northside Auto Sales.